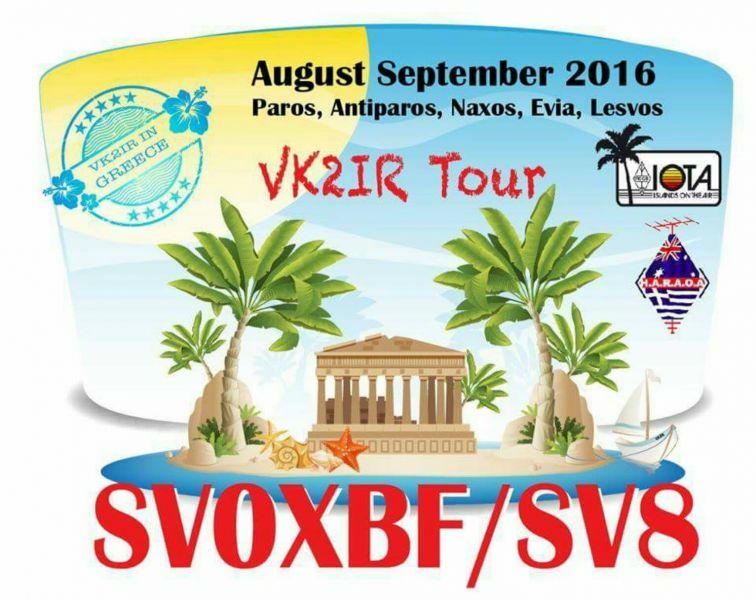 Tommy, VK2IR will again be active as SV0XBF/SV8 island hopping the Greek islands 2 August - 7 September 2016. All modes CW SSB DIGI. QSL via home call direct, OQRS. TOMMY HOROZAKIS, PO BOX 13, SANS SOUCI, NSW 2219, Australia.